Spring is in the air! 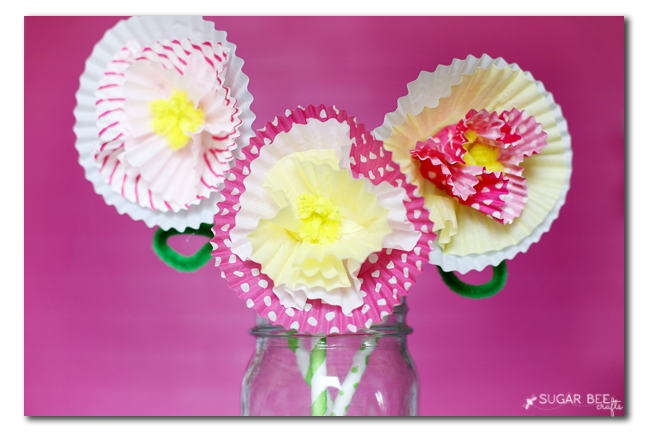 Craft time with the kiddos can embrace spring with these fun Cupcake Liner Flowers! 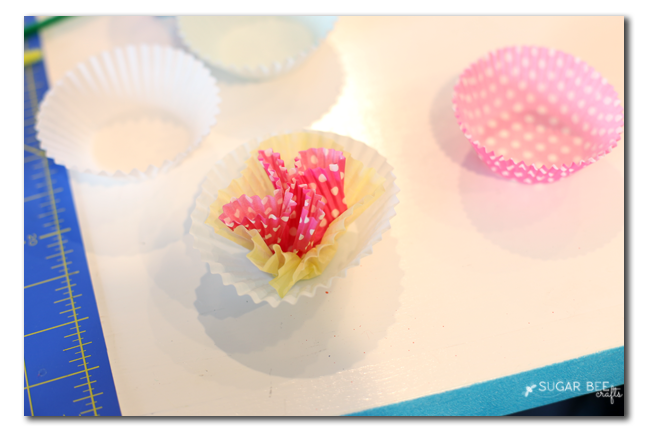 The flowers are three layers of cupcake liners, so the first task is to decide which three liners you want to incorporate into your flower. The first layer is the back one, and stays as-is. The middle layer gets crumbled slighty, and the last layer is the center, and it gets crumbled fully. 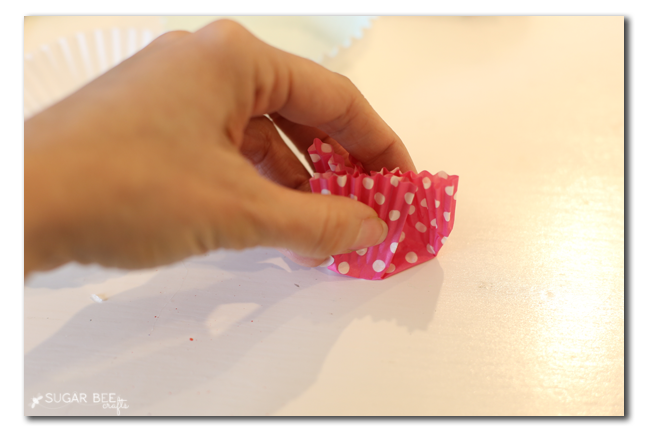 Glue the layers together using a generous amount of glue. 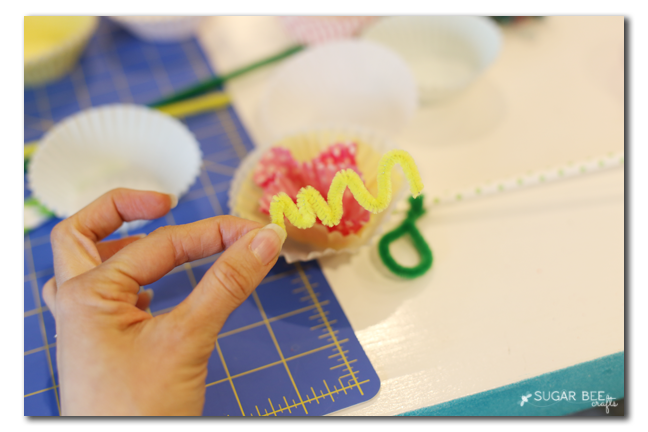 For the center of the flower, fold half a pipe cleaner into a zig zag and attach it to the inside of the center liner using hot glue. 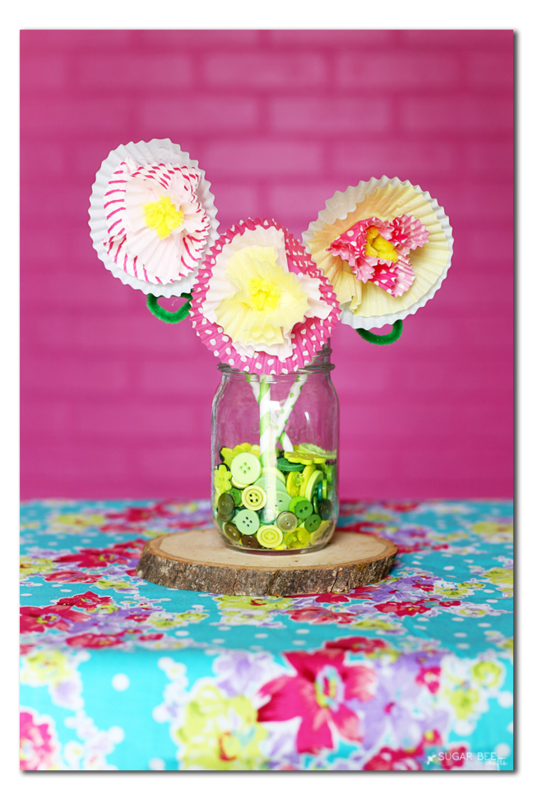 Attach the paper straw on the back with a generous amount of hot glue - the straw will be the stem of the flower. 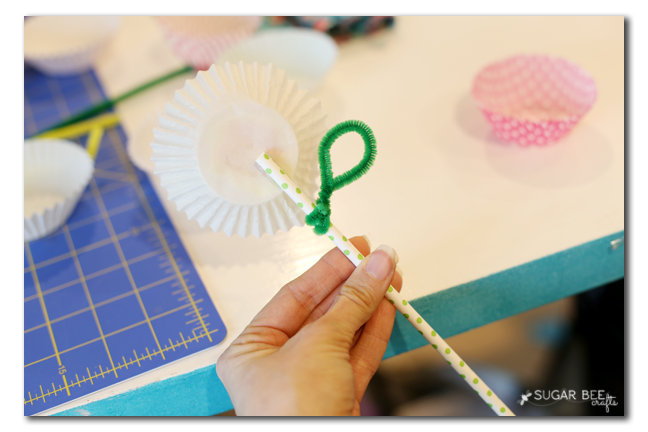 We used green pipe cleaners twisted in an oval shape to form leaves and wrapped them around the stem. That's all there is to it! 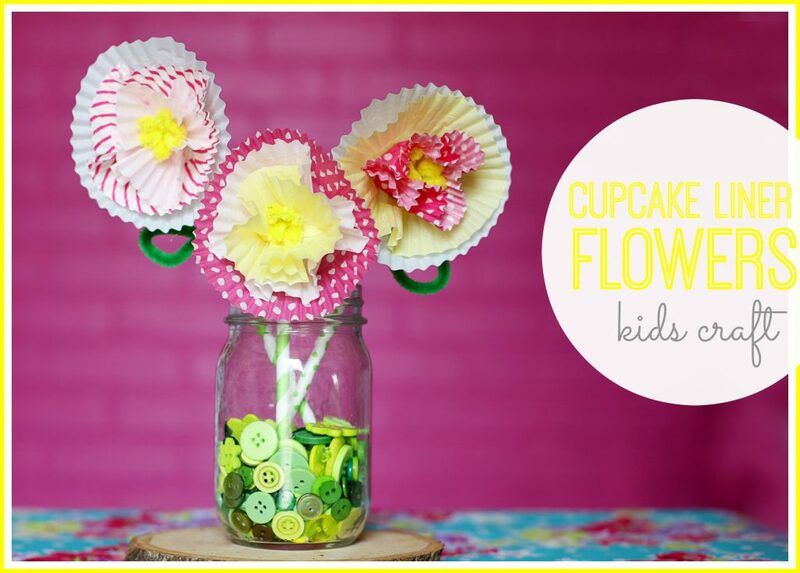 Your kiddos will enjoy making them by the bunch! 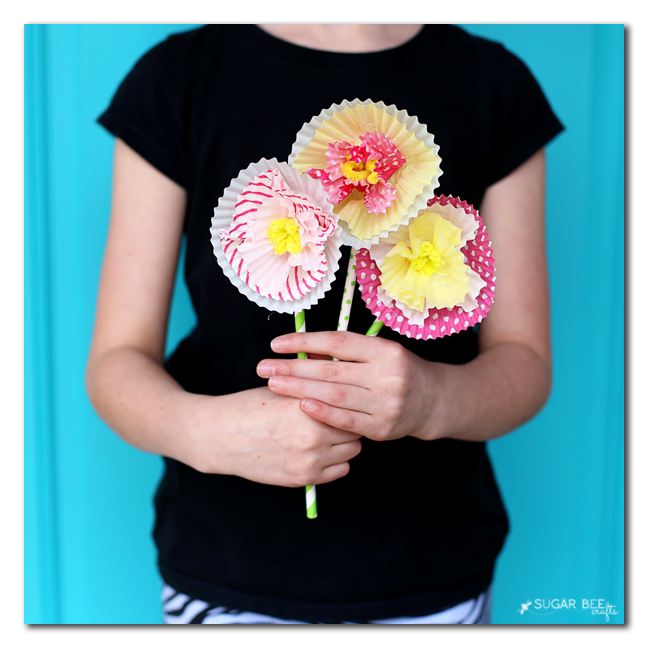 It's a perfect idea for a Spring kids craft - so cute! !